What can I get out of regular private yoga classes? With private yoga classes, you get to learn and practice yoga in the personalised approach based on your goals, health, body type and lifestyle. by clicking on "Booking Enquiry"
Each of our yoga teachers’ profile is set out below. If you feel intuitively like to have a session with any of them, you can simply contact us. Alternatively, we will first take some information about you, including your history of exercise and your intention for private yoga classes. Based on your information, we will match you with a yoga teacher and arrange the class for you accordingly. Please provide us with your contact number. One of us will contact you directly to arrange a session. Please specify what we can do for you. What is the price for each private yoga class? Virginie Morel is a French yoga teacher. She studied in Rishikesh, India, with world-renowned Kia Miller (founder of Radiant Body Yoga) and received her certification after an intense and transformative month. In her classes Virginie shares her deep love of yoga and invites her students to practice with an open mind and heart. When practicing yoga with Virginie, you will empower yourself and discover a new harmony between mind & body. A unique experience to be enjoyed and endured even after the class. Kate began her yoga journey in 2011. It was initially intended to enlist yoga as a support system to manage her auto-immune illness, Lupus. Amazingly, she has no single flare-up since. Through practising yoga, she has found her balance, which she believes to be the key ingredient to good health and well-being. Besides the physical health benefits, yoga has also helped her to change her perspective on life and become a more positive and happier person. She enjoys being in the nature, is a reiki practitioner and a big fan of sound healing and singing bowls. Being a classically trained pianist and a piano teacher, she loves using music to enhance and inspire her yoga practice. Over time, she has discovered the amazing healing power of music and sound vibration from singing bowls and chanting. It gives her the enormous joy to see how people (including herself) are being transformed. She is grateful for the guidance from all her teachers . She is passionate about sharing with people the delights through her practice and empowering more people to uncover and experience the benefits of yoga for their own well-being. Tej started her career as a marketing and advertising professional with the determination to climb the corporate ladder in the media industry. After giving birth to her first daughter, she started to practice yoga more – initially, with the intention to get back into shape. Little did she know then that she will fall in love with the practice and then enrol for a teacher training course to further deepen her own practice. Since the first teacher training, she feels truly humbled and grateful for the way life has steered her life direction, where she feels with a clear conviction that yoga is an integral part of her life. This stems from her inner confirmation that “this is what I am meant to do and this is where I am meant to be” - whether it is for her own personal practice or when she teaches and shares these practice with others. 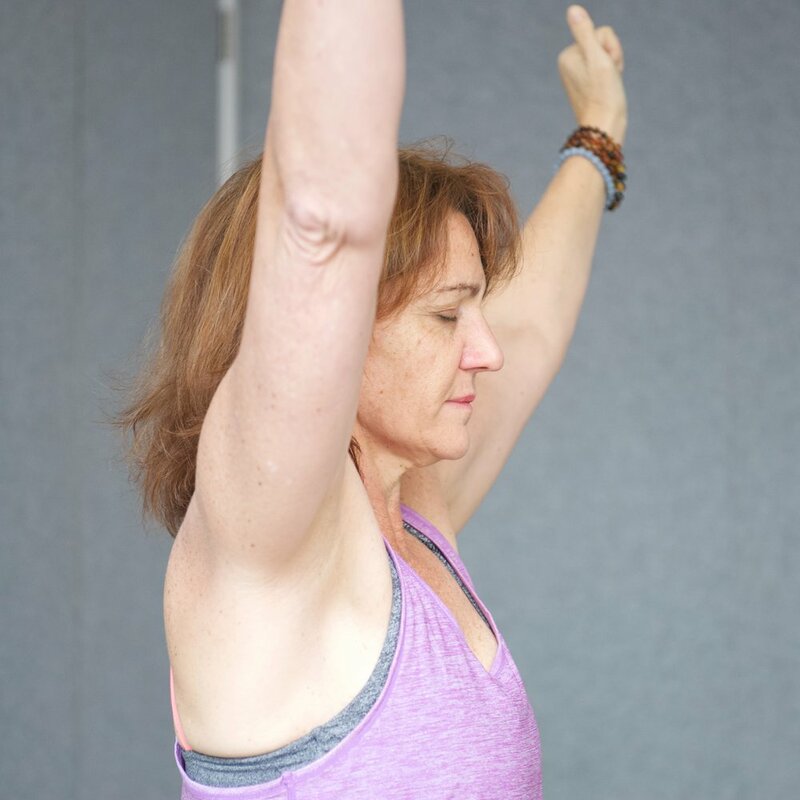 It is her passion and prayer that she can connect to people and share her passion and love for yoga with them. She teaches with her heart by sharing the benefits of yoga that she has personally experienced, including how yoga has grounded her, uplifted her, taught her to look at life with a difference perspective, taught her to be mindful and present, enriched her understanding of others and most importantly, connect her to herself.